Sammy Brue released his debut album I Am Nice June 16th, 2017 via New West Records to widespread critical acclaim, including a 4-star Mojo review that states, "...songs ranging from troubadour folk (I Know; Once A Lover) to unashamedly dreamy '60s pop balladry (Was I The Only One; I Never Said). Just the right blend of innocence and maturity, well-produced by Civil Wars' John Paul White and Alabama Shakes' Ben Tanner." The 12-song set was recorded at White and Tanner's Sun Drop Sound studio in Florence, Alabama. Already hailed as an “American prodigy” by Rolling Stone, the just-turned 16-year-old is a remarkable young talent. His catchy compositions embody the sort of wisdom, empathy and insight that is usually associated with more experienced songwriters and has caught the attention of The New Yorker, The Wall Street Journal, The Fader, and more. Paste Magazine premiered I Am Nice in full ahead of its release. They have called the album a “marvelous debut record” and it can be heard in its entirety HERE. Vice’s music site Noisey previously premiered the video for album single “I’m Not Your Man,” stating, “...the future of Americana/Folk/Country is in very young, very capable hands,” and continuing, “...where Brue stands out isn't just his age, but his razor-sharp songwriting.” The clip was shot at the landmark Los Angeles book store The Bodhi Tree and also produced by Black Balloon as well. Watch it HERE. Additionally, Rolling Stone Country premiered the video for album opener “I Know,” which can be seen HERE. They praise, “I Am Nice infuses a new complexity into Brue's style: a little doo-wop on ‘Was I The Only One,’ some Nirvana-inspired scruff on ‘Control Freak,’ the echoing introspection of ‘Salty Times.’" Most recently, American Songwriter, who has called Brue a “wunderkind,” premiered the lyric video for his album track “I Never Said,” which can be seen HERE. I Am Nice is available digitally, on compact disc, and vinyl HERE. 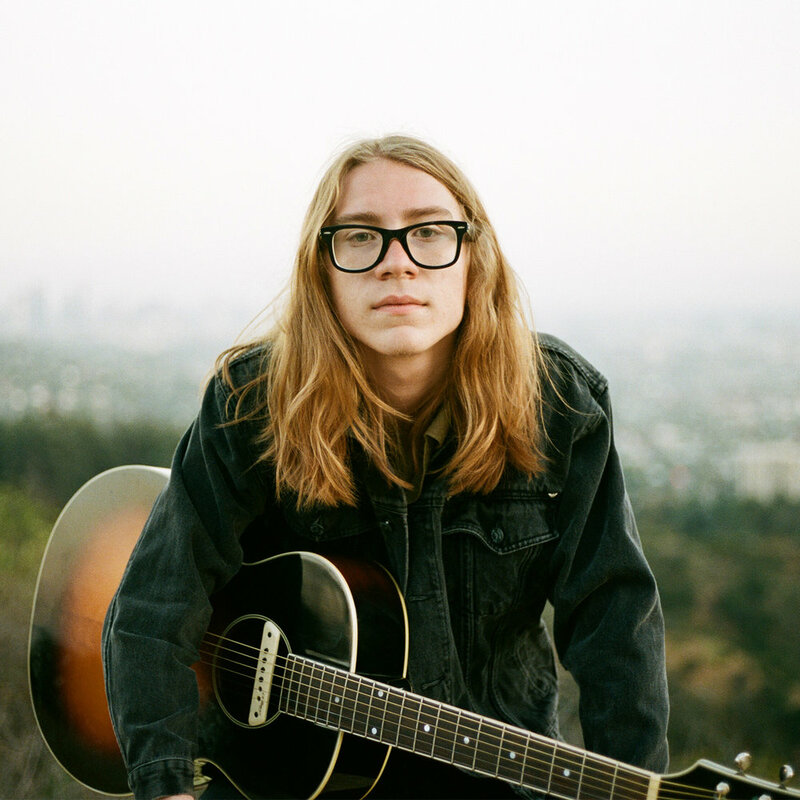 A native of Portland, Oregon, now living in Ogden, Utah, Sammy Brue has been writing songs since he was 10 years old after receiving an acoustic guitar from his father for Christmas. Long influenced by the Bob Dylan, Johnny Cash, Leadbelly, and Woody Guthrie songs played in the family car for years, Sammy quickly embraced the instrument and wrote his first song within two months. He states, “When I started making music myself, I wanted it to have that old sound, because that’s what I grew up with and that’s what I love.” He cut his teeth busking on the sidewalk during the Sundance Film Festival while in the fourth grade with his performances turning the heads of famous actors, musicians and the media alike. Among the first to champion Sammy’s talents was fellow artist Justin Townes Earle who extended an invite to open for him after meeting Sammy and his dad on a tour stop. After becoming a friend and songwriting mentor to Sammy, Justin featured him on the cover of his 2014 album Single Mothers. Sammy recently toured supporting Justin Townes Earle and has added additional shows with Rodriguez (please see all dates below with more to be announced). Before signing to New West Records, Sammy self-released two EPs, the latest being I Don’t Want You To Leave in 2015. The devastatingly beautiful collection of songs touched on heartbreak, jealousy, religion, and suicide and garnered praise with Rolling Stone stating “On songs like the title track, it’s nearly impossible not to think of a young Bob Dylan discovering Woody Guthrie, cutting his teeth in New York bars.” When asked about recording his debut long player I Am Nice with John Paul White and Ben Tanner, Sammy said "It was just a great experience," admitting, "I was nervous at first, because I'd never recorded an actual album with real professionals and I didn't know what to expect. But eventually I told myself 'This is your album, this is what you want to do for the rest of your life,' and that's when I pulled into another gear.” Tanner and White gently augmented his songs with spacious, evocative arrangements that showcase the strength and substance of his lyrics and melodies. The Bluegrass Situation – "25 Roots Artists under 25"
Lightning 100 DJ Pick – "Sammy Brue 'I'm Not Your Man'"
Turnstyled Junkpiled – "The Evolution of Sammy Brue"
Mother Church Pew – "I KNOW'"
Relix – "I See, I Hear"